In response to an inquiry, GSA said it had no responsive documents involving plans for any layoffs or buyouts. The May performance plan update stressed that both individual and organizational improvements are being sought, with maximum transparency. It aims for standardized performance plan elements, improving plans and measures, addressing poor performance, delivering timely evaluations and recognizing management performance initiatives, the document said. Also in the works are uses of data to plan management training along with “just in time” support for local, regional and national managers to improve accountability and feedback. In the past two years, GSA said, it can point to rising scores in the Federal Employee Viewpoint Survey’s results-oriented culture index, which rose slightly from 52 percent in fiscal 2015 to 53 percent in 2016. More dramatically, employee understanding of how to earn ratings at different performance levels rose from 68 percent in 2015 to 71 percent last year. Attainment of GSA goals rose from 58 percent in fiscal 2014 to 74 percent in 2015 (no results from 2016 are available). 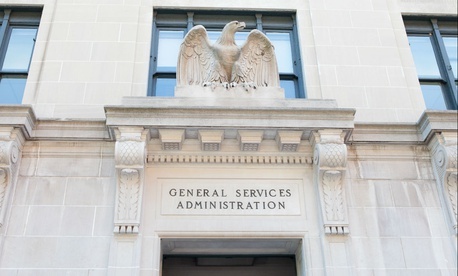 “Currently, our Employee Performance Management and Recognition policies are in the final stages of republication,” GSA said, offering a timeline of completion this summer and fall.